In 1969 suburban GP Dr Bert Wainer, moved by the death of a young woman, embarked on a campaign for law reform. 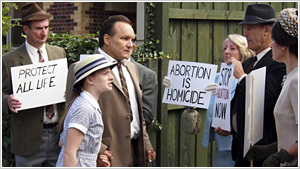 He quickly discovered an illegal abortion ring protected by corrupt homicide detectives that allowed the medical establishment, media and politicians to turn a blind eye to the insidious impact of the law. His crusade created powerful enemies who threatened his practice, his reputation, his family and came close to taking his life. A contemporary crime drama set in the laneways of inner city Sydney. When Detective Bennett O'Mara finds a chocolate wrapper on a strangled girl, it leads him to enigmatic chocolatier Juliana Lovece. Just as this perceptive woman gets under his hardened skin, he suspects she may be at the centre of an increasing murder count. Two school friends obsessed with a fantasy card game called Battle Day Zero inadvertently bring one of the characters, Hiro, to life. His arrival coincides with that of a Japanese exchange student who he is mistaken for allowing him to live among the confused townsfolk. 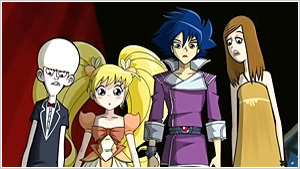 The fact that he functions as anime character in a normal toon world is the source of much confusion and tension. However our unlikely heroes managed to keep their new guests true identity a secret until they can work out how to get him back to his own world. This becomes more difficult when the portal they have opened allows more and more exotic creatures into their sleepy town. Life will never be the same again and as our leads discover, it is far more exciting this way. The first animated Australian made production to be commissioned by the Cartoon Network. Howzat! 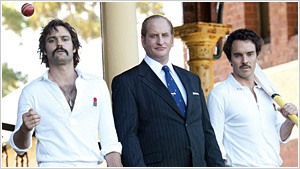 — Kerry Packer's War tells the story of the bitter two-year cricket war between Packer, with his highly-paid elite professionals and the cricket Establishment doing its best to protect the hundred-year legacy of pride in the traditional nature of the poorly paid game. The result was to change cricket forever. World Series Cricket introduced into the game a dramatic new era of dynamism and elite professionalism and thrust cricket into the modern era, shaping the game we know today. Jack Irish: Bad Debts life is hard enough for Jack - his beloved football club has moved interstate, the odds ofhis latest plunge at the track seem too long and he's still cooking forone. 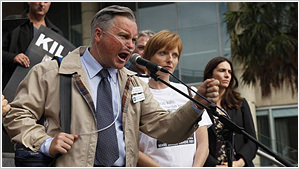 So a phone message from ex-client Danny McKillop doesn't ring any bells. But then Danny turns up dead and Jack must take a walk back into a dark and dangerous past. 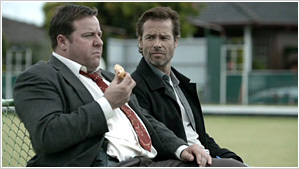 Jack Irish: Black Tide sees Jack helping out an old family friend Des Connors whose son Gary has gone missing. As Jack begins to dig, he discovers Gary Connors was a man with something to hide, and his friends are people with darker and more deadly secrets. What would you do if your best friend was trying to ruin your life? Red and Tommy are two very different cops. Tommy (Ed Kavalee) who does everything according to the letter of the law while Red (Toby Truslove) thinks laws were made to be broken. When they are sent to 'The Scumbus', a police station in the worst part of town. Tommy will either hold off the local drug dealers and corrupt cops long enough to earn the promotion he craves and win the woman he loves. Or will Red will finally ruin his life good? 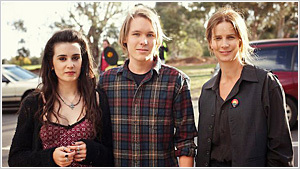 Set in suburban Melbourne in the late 1980s, Underground follows a teenage Julian Assange and his gang of friends — the International Subversives — as they try to break into the computer systems of the worlds most powerful organisations. Hoping to uncover the inner workings of these groups, the boys wage battle from their bedrooms with the technologies, with each other, and with the Senior AFP Detective who is intent on shutting down their group.